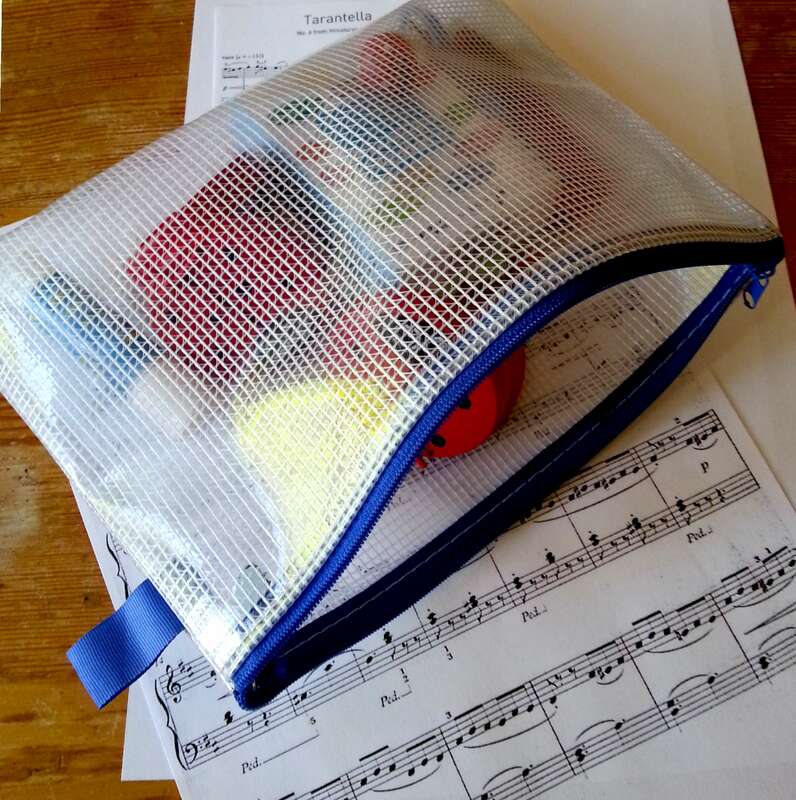 This little bag (about A5 size) comes to all the piano lessons that I teach. a glue stick – for sticking in bits of music or whatever. blu-tac – not shown, because I have used the last little bit. I keep a small lump of it stuck into a corner of the pencil case. The music underneath is there to show scale. My life has been SO MUCH simpler since I gathered this all up into a little bag. There is room for a metronome and a packet of tissues as well. If you, too, are the sort of teacher who teaches here there and everywhere, I strongly recommend gathering these bits and pieces into one little bag. 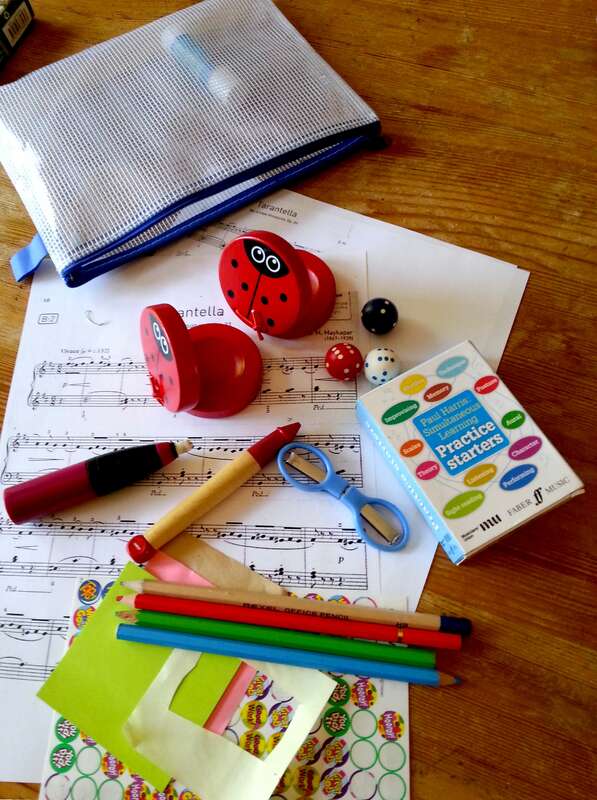 This entry was posted in Piano, The organised teacher and tagged Piano teaching resources. Bookmark the permalink.